A client asked me to paint this 16" x20" pastel pet portrait to give as a gift. 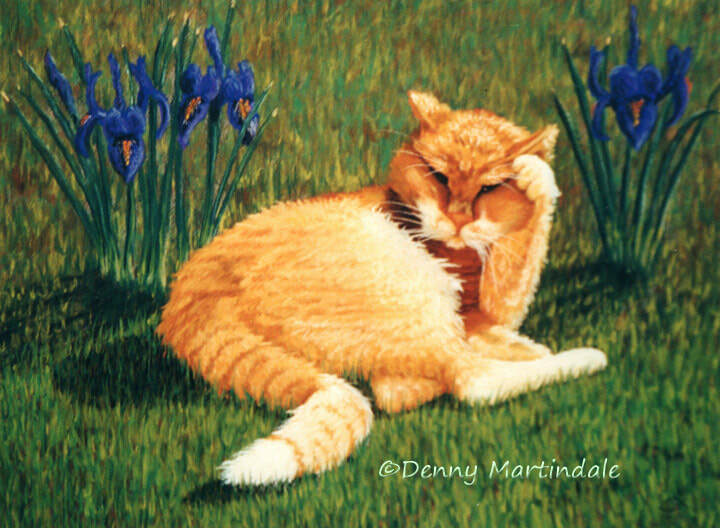 She wanted this pose as the beautiful orange cat frequently shaded his face with his paw. In her photo he was in the grass at the edge of a creek, but she did not want the creek in the print. I suggested come iris for a complimentary color and to break up the green grass. My client gave this painting as a gift to her granddaughter, who was elated to have a fond memory she could see every day.